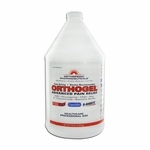 The makers of CryoDerm® bring you their newest product: Myofascial Unscented Cream. There are 86,400 precious seconds in a day. Why spend any of them in pain? 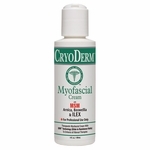 CryoDerm® Myofascial Cream now comes in an unscented formula! CryoDerm® Myofascial Unscented Cream has all the benefits of the popular Myofascial Cream that can be used to enhance all Myofascial, Soft Tissue, Connective Tissue and manual therapies and modalities. This unscented cream also contains the same GRR Technology as the original CryoDerm® Myofascial Cream helping users in keeping their grip while working the deeper muscles and trigger points. 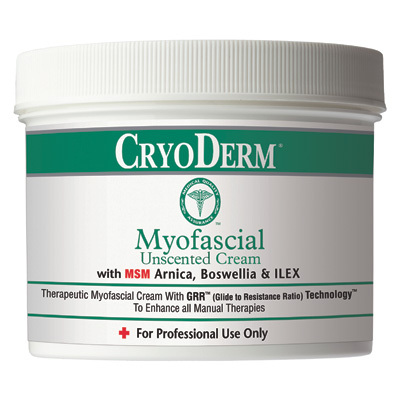 CryoDerm® Myofascial Unscented Cream contains MSM, Arnica, Boswellia, ILEX and Capsaicin for maximum therapy and myofascial benefits. 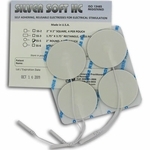 Place CryoDerm Myofascial Unscented Cream in you hand. 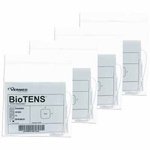 Water, Ethylhexyl Palmitate, Stearic Acid, Searyl Alcohol, Glycerine, Dimethyl, Sulfonate (MSM), Glyceryl Stearate, PEG-100 Stearate, Ginger Oil (Zingiber Officinale), Cinnamon Leaf Oil (Cinnamomum Zeylanicum) Tocopherol (Vitamin E), Allantoin, Chamomilla Recutita (Matricaria) Flower Oil, Arnica Montana Flower Extract, Boswellia Serrata Extract, Ilex Paraguariensis Leaf Extract, Phenoxyethanol, Ethylhexylglycerin, Capsaicin.